Jaguar Ocala team of highly qualified technicians is focused on providing exceptional service in a timely manner. Whether changing your oil or replacing your brakes, we always maintain the highest standards for delivering the best service possible, every time. We are located at 5830 Southwest College Rd. Drivers in Ocala, Gainesville, Belleview, Wildwood, and The Villages, FL can now easily buy or lease a Jaguar at the conveniently located Jaguar Ocala at 5830 Southwest College Rd, Ocala, FL 34474. Jaguar Ocala is easily accessible via I-75 and SR 200. If you are looking into getting a new Jaguar, we have all the latest models for you to test-drive and compare. Our friendly sales staff stands ready to provide you with up-to- date and accurate information on the Jaguar model you might be interested in. You will feel at home and experience a superior shopping experience at Jaguar Ocala. 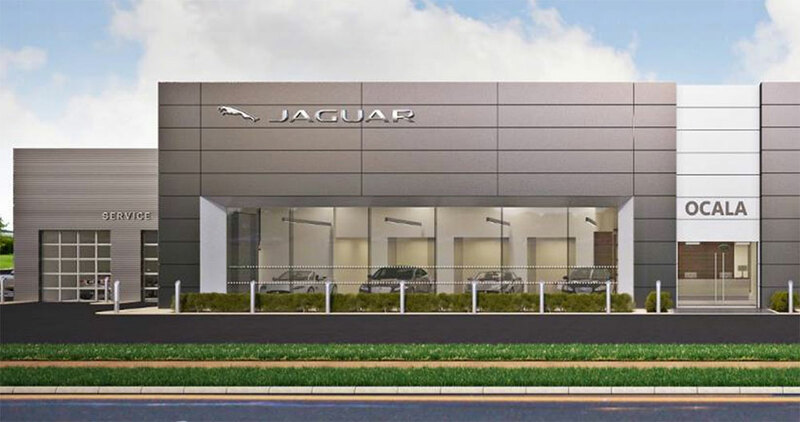 Your satisfaction is what we strive for every day, and we are confident that you will have a smile on your face whether you visit our upscale showroom for your next new Jaguar, our Finance Department for your next car loan, or our state-of-the-art Service Center for your next auto repair. Feel free to call us at (352) 453-8528 to learn more about our latest Jaguar models, or stop by to see us at 5830 SW College Rd in Ocala, FL. When you are roaming in a new Jaguar with painted alloy wheels in your community, you make a statement of excellence in driving experience. We will be happy to help you discover a new Jaguar that speaks to your heart and taste. We have so much to offer you in our Inventory of new Jaguar models. They were designed to excite your senses with exhilarating driving performance, superior and opulent craftsmanship, and cutting- edge technology. Maybe your Jaguar will be the new agile and sporty Jaguar F-TYPE with navigation and no lack of roaring power. Perhaps it’ll be the top sports performer Jaguar XE S with an impressive 3.0L V6 engine with a 380-horsepower supercharged engine. Then there’s the roomy, upscale Jaguar E-PACE SUV that affords you and the family with all the latest advanced technologies such as the Touch Pro™ infotainment system that features a 10-inch tablet-style touchscreen. Regardless of the Jaguar model you end up choosing you will certainly be impressed by not only the stylish look of our Jaguar models but also by their agility and performance on the road as well as their consciousness for safety for all you share the road with. You will surely be dazzled by the brilliant exterior colors of our Jaguar vehicles like Silicon Silver Premium Metallic, Fuji White, Santorini Black Metallic, British Racing Green Metallic, Caldera Red and much more. Come test-drive the new Jaguar model of your choosing today at Jaguar Ocala on SW College Rd in Ocala. A Certified Pre-Owned Late-Model Jaguar is a vehicle you can trust. We know what to look for you in a Certified Pre-Owned Jaguar. Additionally, our Used Vehicle Inventory is extensive, offering you a wide range of models from different makes, ranging from luxury to utility. Perhaps you are simply looking for a Certified Pre-Owned Jaguar. If that’s the case, you can’t go wrong with Jaguar Ocala. We have an extensive inventory of pre-owned Jaguar vehicles in our lot for you to consider, and we are confident that one of our Jaguar vehicles will speak to your heart. Jaguar Ocala also offers great Pre-owned Vehicle Specials at our used car dealership in Ocala. Whether it’s a pre-owned Jaguar or another high-quality used vehicle from one of the many other major manufacturers we carry, count on us to get you what you need. Come see us at Jaguar Ocala, one of Ocala FL car dealerships you can trust, at 5830 Southwest College Rd, Ocala, FL 34474. A superior shopping experience awaits you. Regardless of your credit history or whether you have bad credit, good credit, or excellent credit, at Jaguar Ocala we have Financial Advisors who stand by ready to look at your credit report and assist you in finding suitable financing options with competitive interest rates and affordable monthly payments for your next Jaguar. Our goal at Jaguar Ocala is to find you the right vehicle for you. Regardless of your credit history or whether you have bad credit, good credit, or excellent credit, at Jaguar Ocala we have Financial Advisors who stand by ready to look at your credit report and assist you in finding suitable financing options with competitive interest rates and affordable monthly payments for your next Jaguar. Our goal at Jaguar Ocala is to find you the right car loan amount with loan terms and conditions that will make it comfortable for you to enjoy your Jaguar for many years to come. You may be pleasantly surprised how you can benefit from the Jaguar Approved Certified Pre-Owned Program at our car dealership in Ocala and get in a late-model Jaguar for less than you can imagine. Come see us at Jaguar Ocala today at 5830 Southwest College Road in Ocala, FL. At our state-of-the-art Service Center, you can be confident in getting certified Jaguar products and services from Jaguar-trained technicians who use genuine parts with a Limited Warranty Coverage for repairs that can extend up to 7 years/100,000 miles*, depending on which comes first. From a simple oil change to complex auto repair services, you can count on our expert technicians to get the job done to your total satisfaction. Contact us today to schedule your maintenance services or auto repair at (352) 310- 3685, or you can visit our dealership at 5830 Southwest College Rd, Ocala, FL 34474. 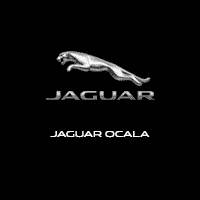 Jaguar Ocala proudly serves Ocala, Gainesville and Orange Park, FL. Come see us today for a superior shopping experience and customer service.